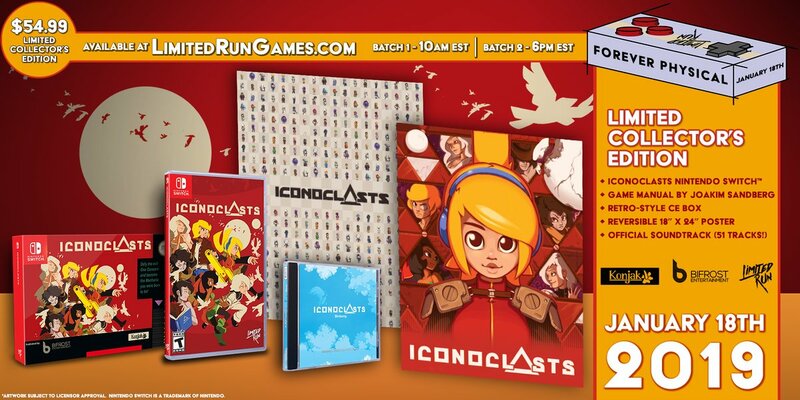 Pre-orders are now open for the physical version of Iconoclasts. Along with a standard release, Limited Run Games is offering a “Classic Edition”. You can pre-order the physical version of Iconoclasts here. The Classic Edition will go quickly, but the standard release will have open reservations until February 1.